With the recent news of Bull Jagger’s closing I thought I better get reviews up of their beers before they are gone for good. 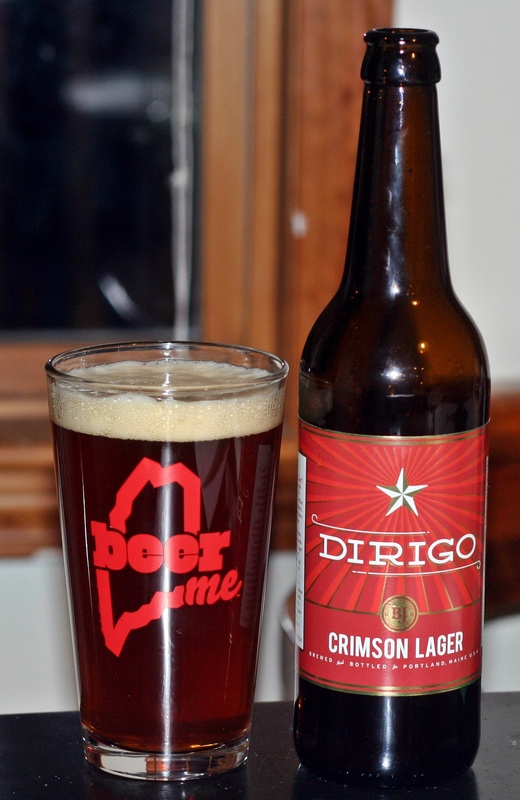 The Dirigo Crimson Lager is their Oktoberfest style beer. This beer is a nice red color with an off white single finger head. Aroma is minimal but there is some sweet caramel malt but not much else. Taste is a solid marzen style lager true to style but not overly exciting. Being only 5% and a fairly small bottle this beer disappeared quickly and did not leave a lot to remember. Brewers Description: Our latest hand crafted offering of an Oktoberfest beer brewed in the Märzen style.